I've been quiet on the blog lately as I've been on holiday and some stuff has happened, both bad and good. They broke into our house (again!) while we were on holiday so I've had to deal with that stress, anxiety, loss, and fear. Anyway, as far as the good news is concerned: about a week after returning from holidays we got a puppy! She's a labrador x border collie and so cute, smart, and naughty! Those who follow me on Facebook, Instagram, and Snapchat will have seen many, many photos of little Mia. This primer has got to be my favourite one of the past year. Firstly, it's cheap as well as being small enough to throw in your handbag or travel bag. The formula is non-greasy and it leaves your skin with a beautiful glow, perfect to use under BB cream or foundation. You can read my thoughts on it here. Ohhh my goodness. If I had to write a blog post of my "Top 3" products for 2016, I'm pretty sure that this would feature. I love the sleek black and white packaging, and I love the fact that this cost well below R100. 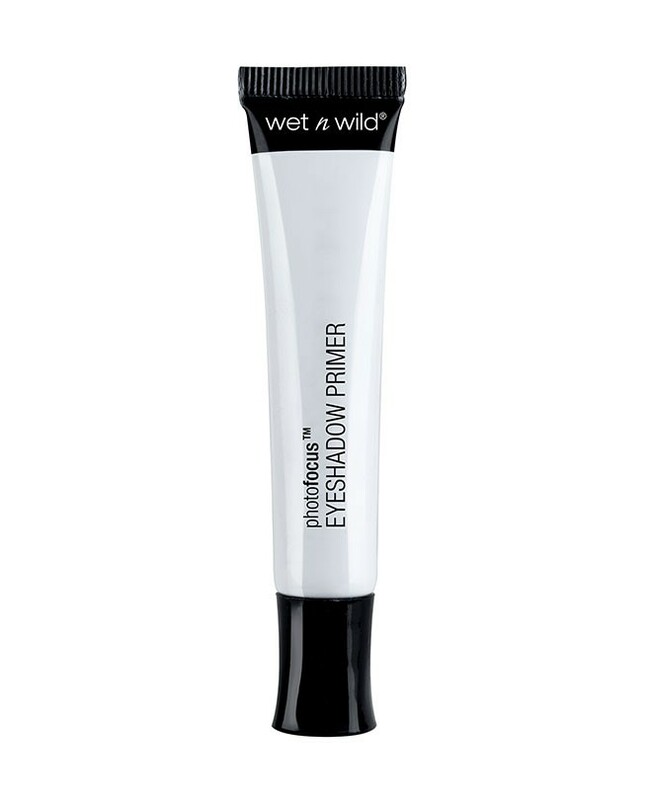 As an eyeshadow primer it works exceptionally well and I find that my eyeshadow stay put all day long, which is not an easy task given my extremely oily eyelids. 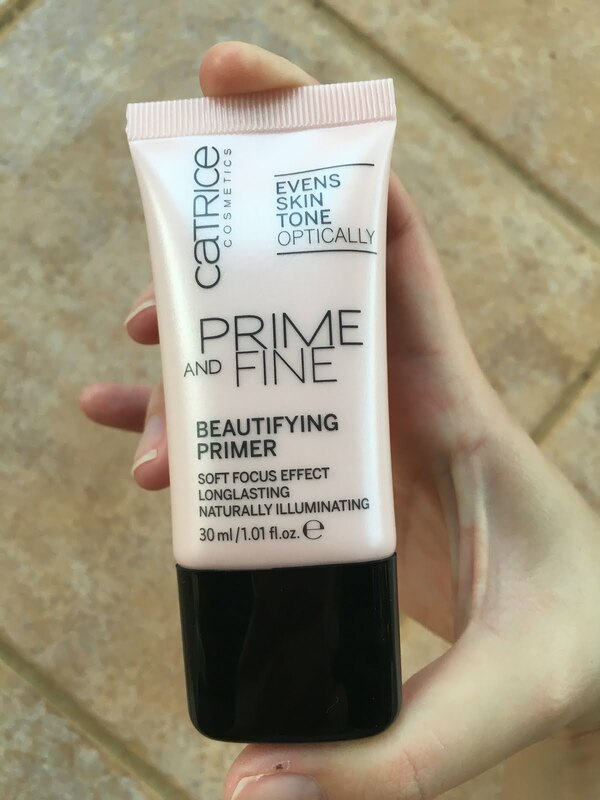 For the price I would say that this is a better buy than the Urban Decay Eyeshadow Primer Potions... You can read my review on it here. 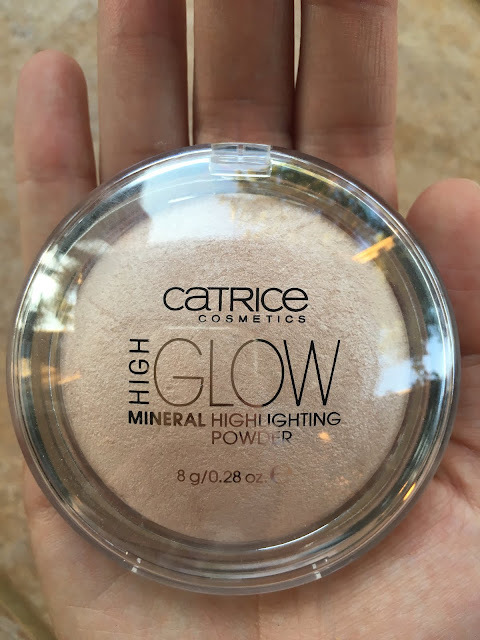 This is another drugstore goodie. Initially I forgot to add it to my list as I powered through this at the start of the year and never got around to purchasing a new one. Why I honestly don't know as this stuff is amazing! It has a doe foot applicator that makes applying it very easy and the concealer itself covers everything. Every mark or spot, and I particularly like to use it on my under-eye area. Just be sure to hydrate first, as it might look a bit cakey. You can read about it here. 4. 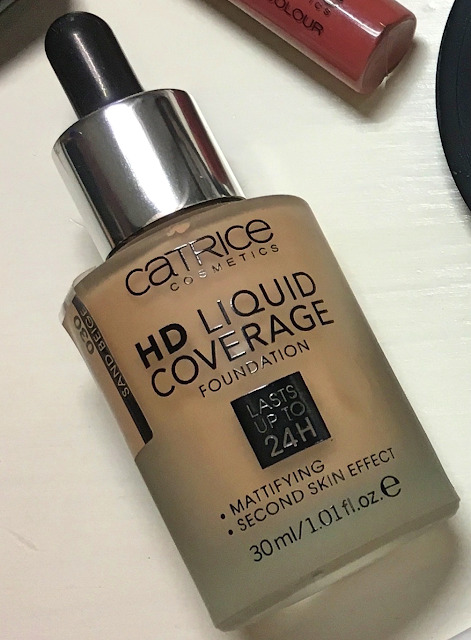 Catrice HD Liquid Coverage Foundation in "030 Sand Beige"
I promise this post isn't sponsored by Catrice! It's just that their stuff is so good. 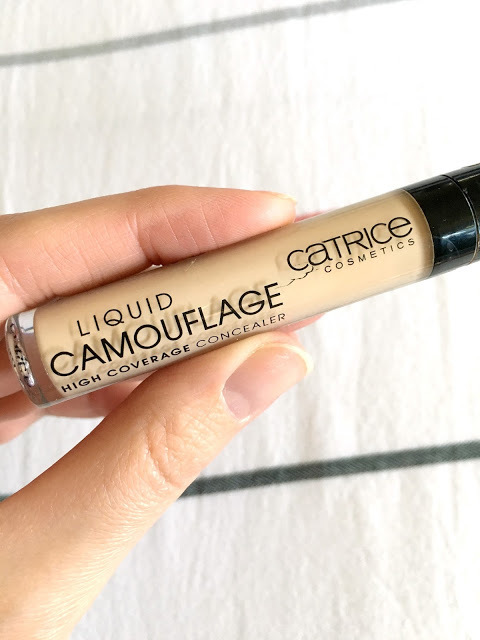 Nothing on the Catrice shelf costs more than, say, R120, but you get extremely great quality. Great quality AND great value for money? What more could you want? This foundation comes in a sturdy glass bottle with a pipette as the foundation is quite liquidy (less so than serum foundations, but more liquidy than your normal foundations). The packaging isn't ideal for travelling, but that is really a minor issue in my opinion. The foundation is beautiful and has medium coverage that can be built up. I really can't say enough good things about it! You can read my thoughts on it here. 5. NYX HD Finishing Powder in "Banana"
This is the newest addition to the list as I've only started using it in November, but it's already earned its status in the Top 10. 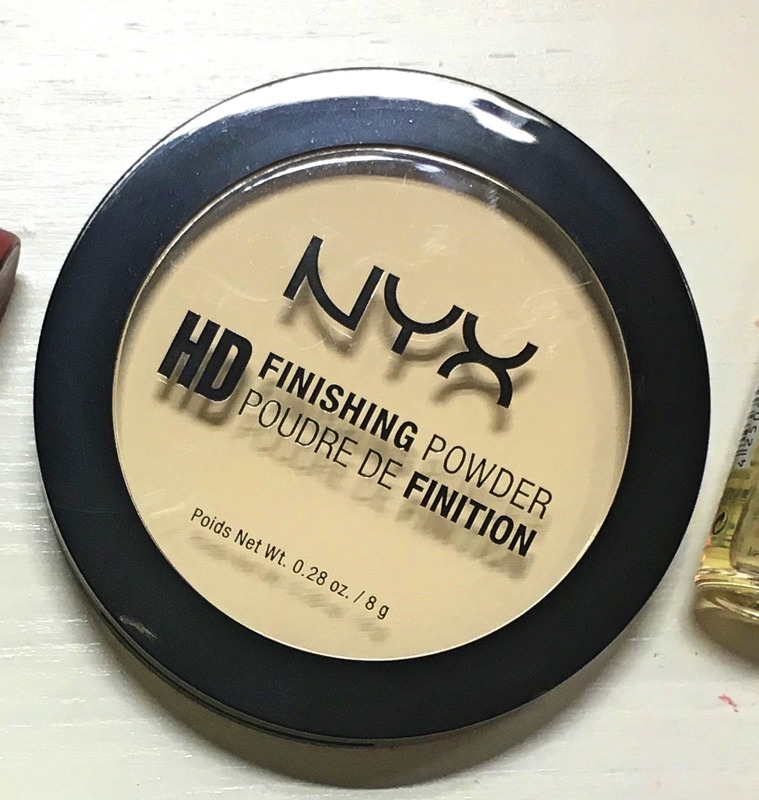 The finishing powders come in a couple of shades, but I chose the "Banana" shade as I wanted to use it to set my under eye concealer, as the yellow in the powder cancels out the blue shadows. The powder is super fine and I use it every morning to set my concealer, without fail. I've mentioned it here. This is another "Top 3" product for me. I think I can count the number of times that I've used another highlighter on one hand, *that's* how much I love this highlighter. I can safely say that it's my ride or die highlighter. You can read about it here and here. I tried out a couple of drugstore mascaras this past year and there wasn't really any clear winners, but the one I've used the most is L'Oreal Miss Manga Mega Volume. 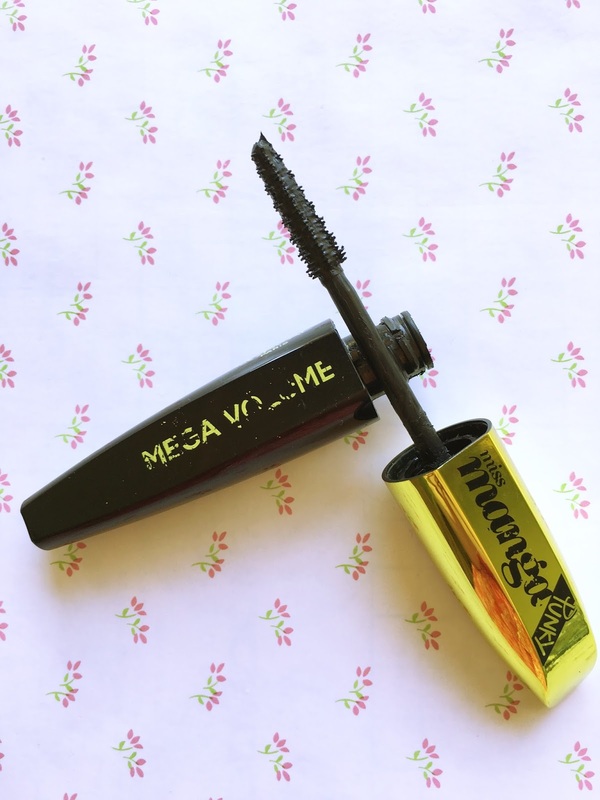 I like the wand and I prefer the mascara when it's a bit drier. You can read about it here. 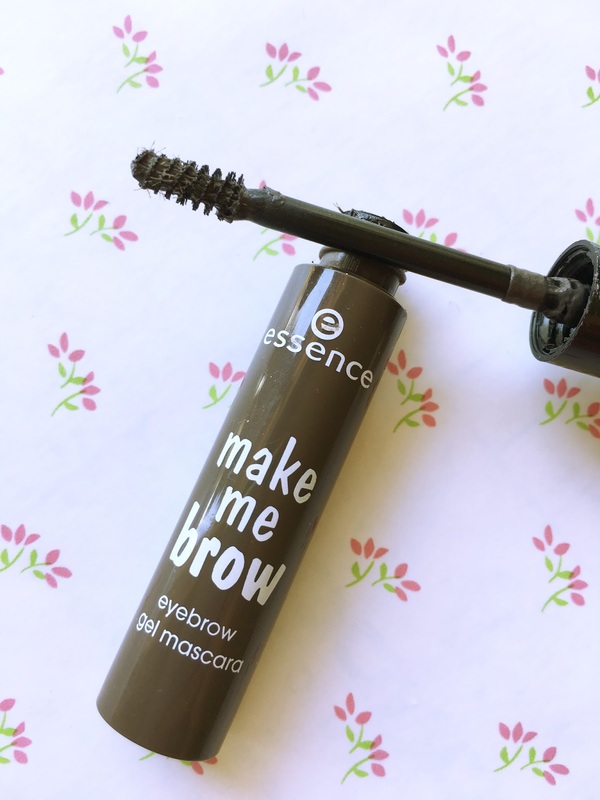 I've tried a couple of eyebrow gels and mascaras and my two biggest problems are usually the length of the wand and the shade of the gel. This product manages to solve both those problems, and it costs less than R60. You can read my thoughts here. 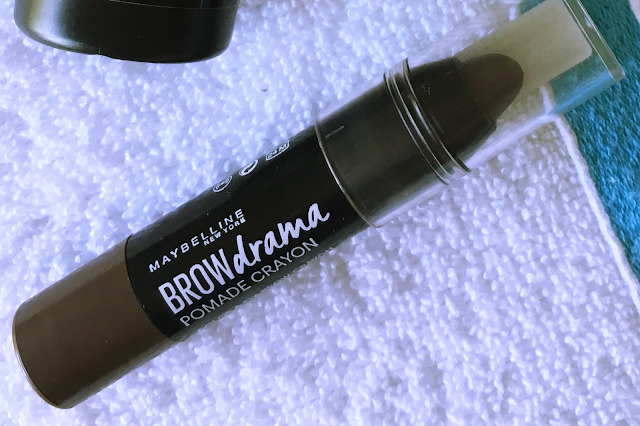 This pomade crayon from Maybelline has really simplified the way I do my eyebrows. I just do a few quick swipes in the morning and set it with the essence Make Me Brown, quickly comb through with a clean spoolie, and I'm good to go. You can read it about it here. So this is more of a skincare product, but I figure you use it to remove makeup, so it should count, right? 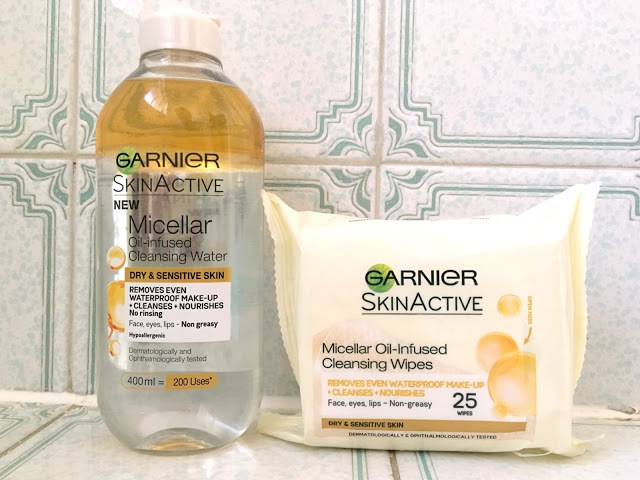 I've been a big fan of Garnier's micellar water right from the start, but this oil-infused one completely blew me away. It's perfect for removing heavy makeup, or even just if your skin normally dries out with other cleansing waters or makeup removers. It leaves my skin clean, soft, and hydrated, and for once I can confidently say that the makeup remover wipes are indeed just as good as the cleansing water. You can see me raving over it here. And those were my Top 10 makeup favourites for 2016! What were your favourites? Let me know in the comment section.